Julia’s House to benefit from £20,711 fundraising appeal total. 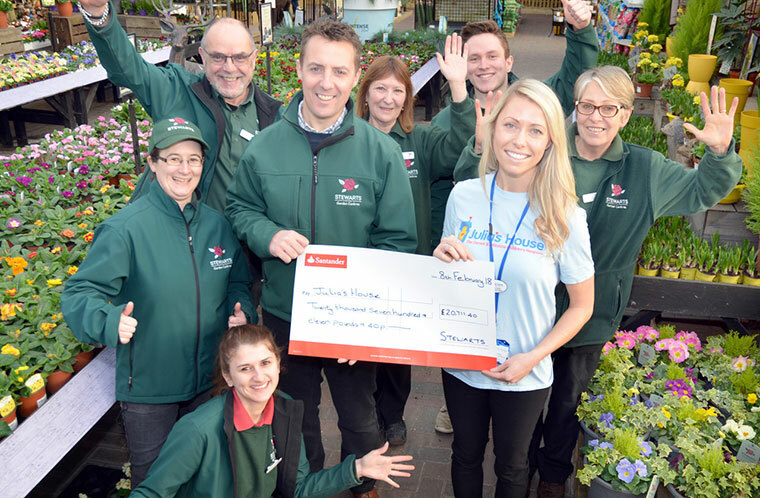 Terry Head, retail and marketing director of the Stewarts Garden Centres, presented a cheque on behalf of the thousands of customers who donated towards last year’s appeal on behalf of the Dorset and Wiltshire children’s hospices Julia’s House. The £20,711.40 total was raised for Stewarts’ charity of the year not only from donations in collection tins and the wishing well, but also during activities including Easter egg hunts, Halloween events and proceeds from the sale of kids’ reindeer badges over the Christmas festivities.